15 March 2019Saxon Weald says hello to new development in Hassocks, West Sussex. Saxon Weald says hello to new development in Hassocks, West Sussex. Our development team are proud to be exchanging contracts today with Barratt David Wilson Homes on a new development in Hassocks. 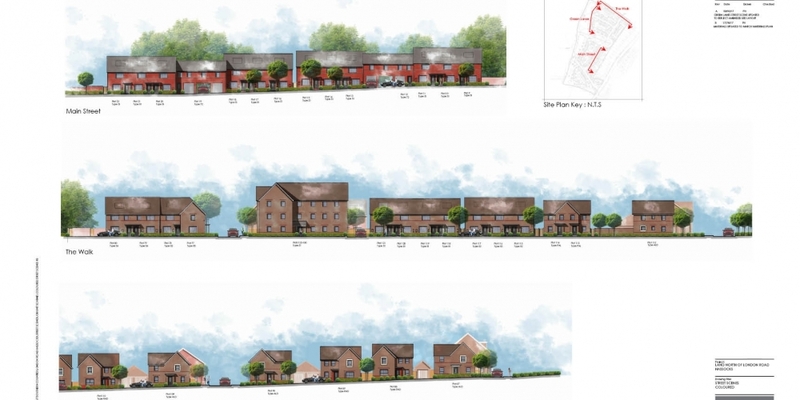 Consisting of 39 brand-new properties, Saxon Mills will sit to the north of the village centre on London Road, and will be made up of 29 homes available for affordable rent, and 10 for purchase through shared ownership. We’re excited to see this development take shape over the coming months, with phase one expected to be handed over in summer of this year. Hassocks sits within the South Downs National Park and is ideally located for travel into London, Brighton and Haywards Heath. Saxon Weald are proud to be providing more affordable homes in the Hassocks area and look forward to seeing our Saxon Mills development progress as we come into Spring.